Ian’s face if gonna be messed up for a while so I’m sorry it’s crazy nasty. Anyway the comic is back! As of this writing the Patreon is over the $200 goal, so the comic will update every Wednesday, and also every other Monday. Also I did an interview with an online at magazine recently. Click here if you’d like to read it. 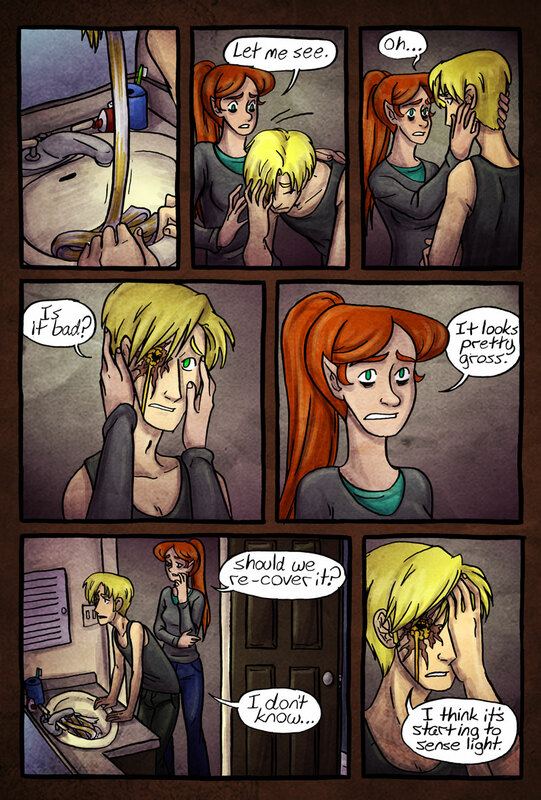 turning into a fae was literally the worst thing for Ian. all it does is make him suffer.